Your trip to the doctor – all those forms! Choosing the right doctor and the right lawyer are two important steps when you have been injured in an accident. And let’s face it, each one has a lot of questions and even more forms…and more questions and more forms! Unfortunately, sometimes these forms get lumped together. Doctors, even the good ones, have forms that are not for medicine, but for insurance and to secure payment for services. 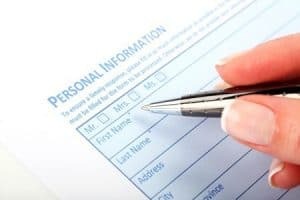 These forms often involve legal issues and a doctor’s office may not always be the best place to address them. A well intentioned medical assistant or doctor is no substitute for your lawyer at times like these. It is always important to give a doctor every fact which may be relevant to your prior and current medical condition so that he or she can best provide the care that you need following an accident. However, when your medical provider presents you with documents that say things such as “Lien”, “Assignment” or “Application for Benefits” , it is best that you consult your attorney before completing or signing these documents whenever the situation allows you to do so. Your doctor and your attorney are both important contributors in your pursuit of health and compensation for your injuries following an accident. Let the doctors take care of the medicine and let us take care of the rest!